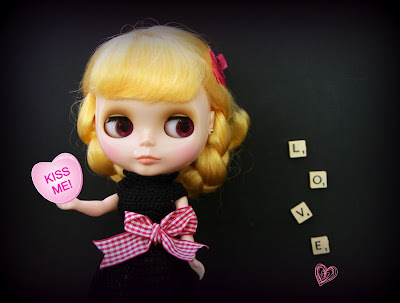 It's been a longtime coming but I think it is time this now lonely blog hung up it's boots! I haven't been around to give it much love of late as I haven't felt inspired to do so..........it is sad but I think this just happens with these things. I have been writing here for since July of 2007, 5 years........... a b****y long time I say! Why hang up the boots you ask well I think I have run out of things to tell you about my everyday life here and that's why I started this blog. After nearly six years in Noumea our life is fairly routine school, work , stuff. My interests have changed over the lifetime of this blog and I feel it isn't going to suit the new stuff I have going on. I hear you all cry out that you want to know about the new stuff and you can I am not giving up blogging altogether just moving to another place in the internet universe(all details at end of post) to share all this new great stuff. I hope the new venture will be a bit more arty crafty & dolly orientated. I do have another blog about our travels here that has been even more neglected than No life but hopefully this can pick up the fun outdoory stuff we do in the future. Ok I am not one for long goodbyes as I usually start crying..........I have enjoyed what I have done with No life without wife but my dear you are on your way to blogging heaven(is there one??) it has been fun but it is time. I bid you au revoir!! Has she gone? ?.........you can now find me at La Petite Chouette. See you there!! It's been a very long time between posts here at No life without wife!! I can't say I haven't been doing lots of stuff because I have but time doesn't seem to have allowed me to blog about it but today I have found a few moments to pop up some photos that happily shows some of the past few weeks. and yesterday I spent the afternoon at the hairdresser getting rid of all my grey hair! How nice that was walking out looking all refreshed. So there you have it a little bit of what has been happening. Hopefully everyone is having a lovely Wednesday afternoon and doing what they want to do!! After spending this morning running around getting new tyres for the car and then dealing with driving around in absolutely terrible weather I am now going to sit down have a cup of tea and then sort out my house that always seems to be in a shambles!! The talk of Easter has been in the house so the crochet hook has been out in prepartion for it. 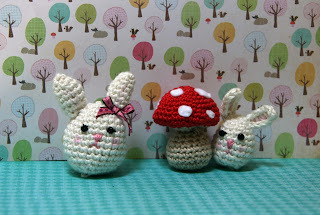 I have been making many little bunnies to sell, to gift away and to give to my kids. They are fun and super easy to make. 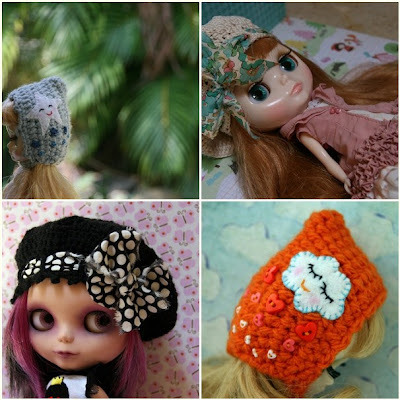 Many free patterns can be found on the internet if you are interested in making some.........a little searching goes a long way!! I am thanking god it is Friday in our neck of the woods, we have had a very up & down week. Hubby is in Spain, we have all been a little grumpy and tired but the weekend is near so I hope we can do some exciting, relaxing things to cheer us all up. It's all there in the post title for you! I am thinking if there is nothing new to read on my blog it should still look pretty. I shouldn't make it sound like I haven't been doing anything at all because I have but I should make it clear I should be doing other things than the things I have been doing!! Confused by all this all I can say is my husband should never have given me an iphone!! What I am reading when I am not doing my wifely duties! Find No Life Without Wife and get more Sewing Patterns at Seamingly.com.